Ireland is a country of glorious landscapes and an effervescent, welcoming culture. Seniors can travel slowly and nearly effortlessly while always surrounded by tradition and highlights. There is no filler in Ireland, as it is just unfiltered merriment every step of the way. 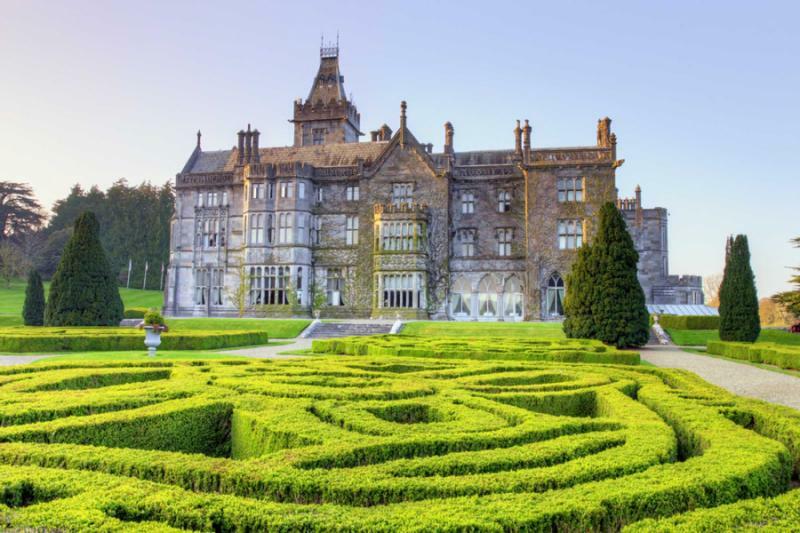 Handcrafted for senior travelers, this one-week tour eases you through the best of Ireland with Dublin, the Wicklow gardens, Waterford, Cashel, Kenmare, Kerry, Dingle, and Adare. Make sure your perfect Irish vacation is an unforgettable one by seeing additional Ireland travel ideas. Ireland is tailor-made for senior travelers as there is an easy-going pace of life, with even the largest city feeling relaxed rather than bustling. Destinations are relatively close to each other, and the overland journeys are part of the attraction. Local people are famously friendly and easy to talk to, and the attractions are widely varied. 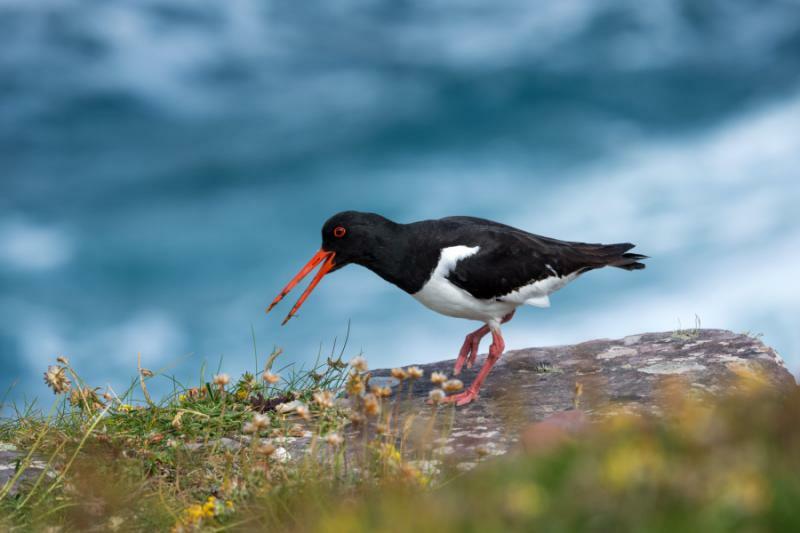 You can explore glorious landscapes like Slea Head Drive and the Ring of Kerry, and there is also history aplenty, from Georgian Dublin to the Rock of Cashel. Local pubs invite you in with singing and dancing while treasures and crystal are found in Waterford. Gardens and stately homes feature on one morning while a thatched town fills your final day. This one-week of highlights takes you around the south of Ireland on a private trip from Dublin to Shannon. It is an easy one-way journey that utilizes the country’s main two international airports with no backtracking to the capital involved. Of course, there is more to Ireland than its southern half but with only one week to travel, this area is recommended to ensure the full range of highlights and the best look at Irish traditions but none of the longer, laborious drives. Accommodation is in a handpicked selection of boutique hotels, all four- and five-star properties centered on Irish culture. A private tour means each day has in-built flexibility, around your interests and also the Irish weather. 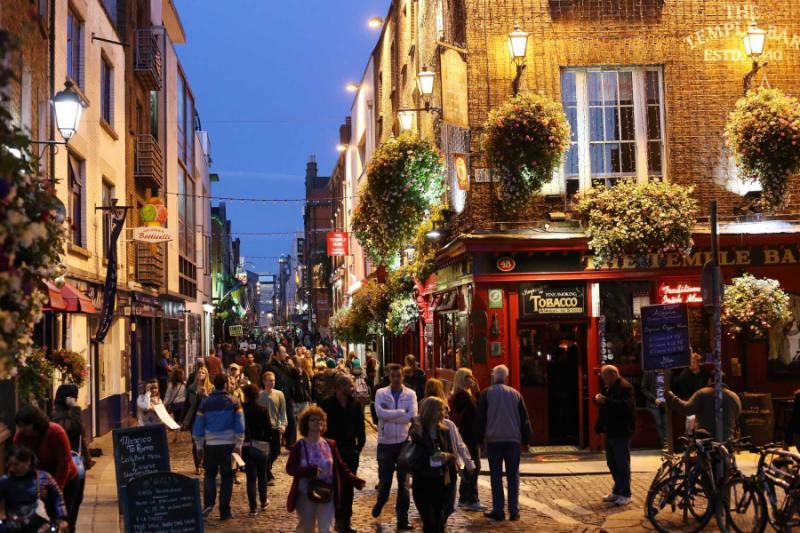 Fly to Dublin for the first two nights and enjoy the lovely little capital, full of charm and compact enough to get around without walking too far. 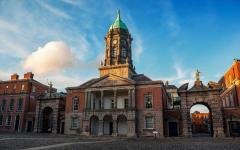 On day two you will follow the James Joyce trail, a short and enjoyable route through the highlights of Georgian Dublin. 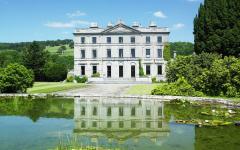 Travel through County Wicklow and the gardens of Ireland on day three, with Powerscourt House the premier highlight. You will then be heading to Waterford, Ireland’s oldest city and the famous home of crystal and treasures. The Rock of Cashel is halfway to Kenmare on day four, a wonderfully medieval cluster of stone buildings unlike almost any other in Europe. 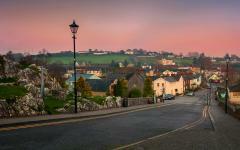 Kenmare is idyllic, a small and colorful town that is also your gateway to the Ring of Kerry. A private tour means you can pick and choose attractions on this famous ring, dependent on whether you would like to be out all day. 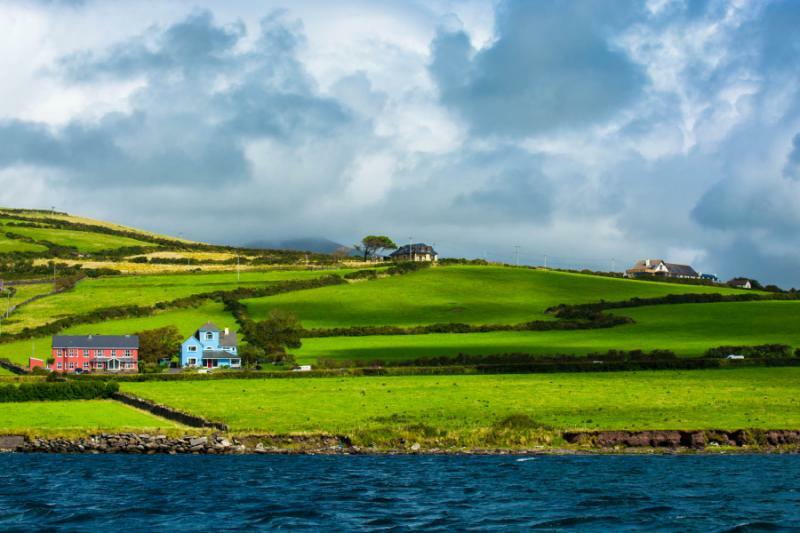 After Kenmare, you will travel north to Dingle, an Irish-speaking town where you experience traditional singing and dancing. 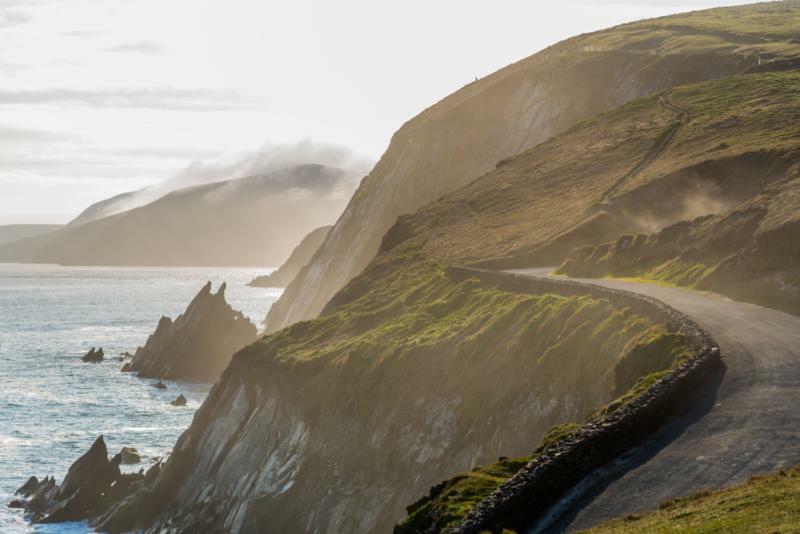 Getting here will include Slea Head Drive, where ancient Christian remains are found on the Dingle Peninsula. End the tour in Adare, a tiny town of thatched houses, where a horse and carriage is more common than an automobile. Ending the private tour here means you are just 30 minutes from Shannon International Airport for an easy departure. Looking for more recommended Ireland travel inspiration? 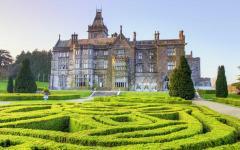 Consider browsing our Ireland travel reviews page. Flowers bloom on window-ledges throughout the streets of Dublin providing new color to facades that always seem to be a different hue, with so many of the Georgian terrace building painted in a bright shade of blue or red or green. When the flowers fall they land on cobblestone, another piece of the Georgian jigsaw, from a time when so much of the Irish capital was constructed. Many of the streets are narrow, populated by small shops, and pubs dominate every street corner, lively and welcoming whatever your age. Central Dublin is compact,\ and it is easy to ease into the Irish experience as you only need to walk one or two blocks to capture what it is all about. Land at Dublin International Airport to be greeted by your local guide, and it will be a short transfer to your hotel, which is ideally situated in the heart of the city. Although Georgian from the outside, your hotel is very contemporary on the inside with modern amenities and services. Just take a few steps outside, and you can experience what Dublin is all about, from the shops and cafes to the pubs and restaurants. Or simply take some time to sit on any of the many benches and listen to the many sounds of the city. Cathedral bells mark the passage of time in Dublin, either from the bells of Christ Church or of St Patrick’s Cathedral. These cathedrals have spires that serve to orientate you in the city, indicating which way is home and which way you can go explore. To understand Ireland, you only need a good guide and a focal point. 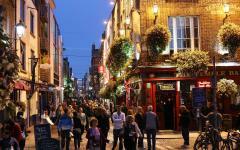 Today it is James Joyce, the author who provided so many people with impressions of Dublin. Start in the James Joyce Museum to appreciate just how important he has become to the city. Then follow the James Joyce trail, a short but inspiring journey through the backstreets of Dublin, just like Leopold Bloom would have done in Ulysses. 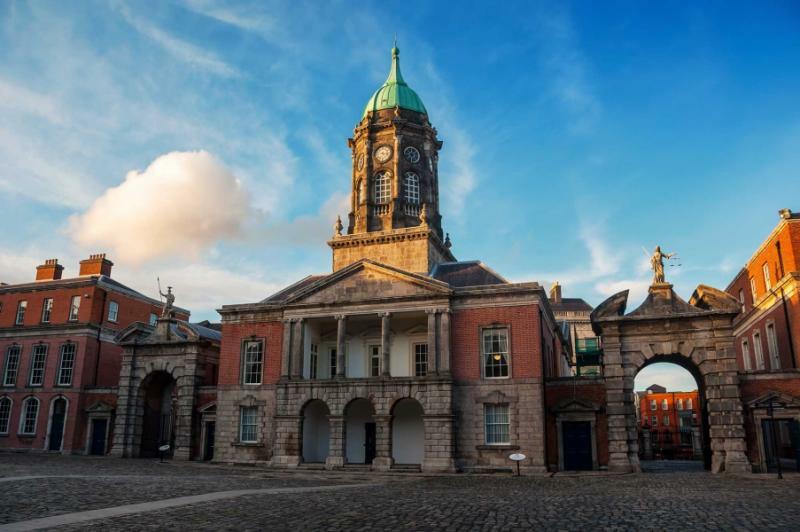 Get to know the quiet cobbled lanes, listen to flute musicians along the way, and admire the 18th-century grandeur that is etched into so much of central Dublin. Along the way, you will stop at the city’s most famous attractions, taking a peek inside St Patrick’s Cathedral before ending at Trinity College. Here there is another literary tale, that of the Book of Kells, a work that helped to drag Europe out of the dark ages. Rest up this afternoon before a rousing evening of entertainment, an Irish cabaret that’s accompanied by food in a local Dublin pub. Ah, the gardens of Ireland, rural landscape that’s been carefully cultivated over many centuries. 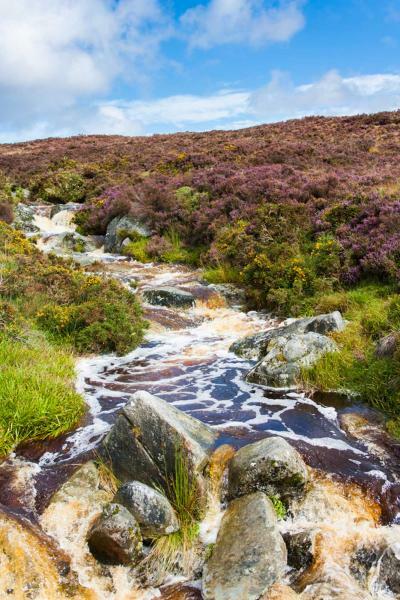 This is County Wicklow, just south of Dublin, a region that is very proud of its nickname. Even the vernacular houses feature superb gardens here. 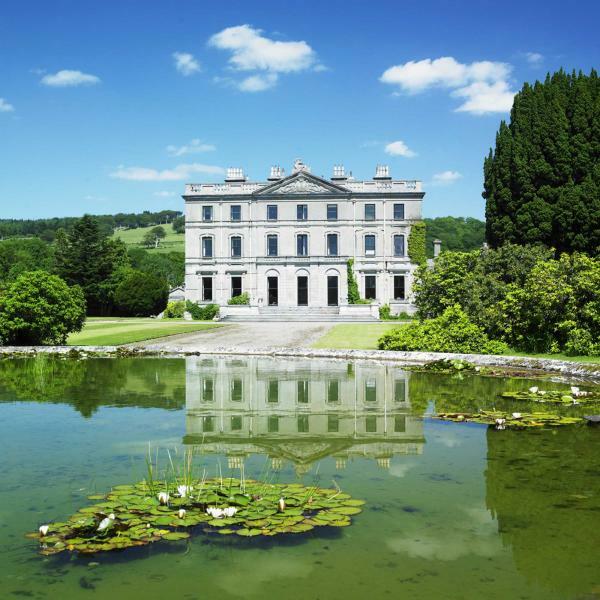 The most famous of them all can be seen at Powerscourt House, the perfect place for a slow morning stroll. There are many routes to choose from, and then you can rest your legs in the café with tea and scones, just as royalty used to enjoy when they came here. 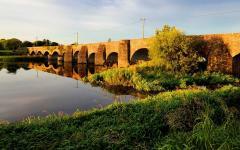 Wicklow is a convenient stop on your two-hour journey south to Waterford, Ireland’s oldest city. Vikings founded Waterford and then came a succession of Celts, Munster kings and invaders. During the early medieval period, this city was one of Europe’s key trading posts, easily understandable when you can see the castle and some of the restored streets. It is even more understandable when touring the Waterford Museum of Treasures, where the collection is a what’s what of medieval trade. But for most senior visitors, Waterford is famous for its crystal, and you will enjoy a private behind-the-scenes tour of the House of Waterford Crystal with time to appreciate the unique shimmer and inimitable style. Much like Dublin, Waterford can be as quiet or as lively as you would like in the evenings. There will be plenty going on, but also plenty of small local restaurants with just a few tables and a log fire. A circular stone tower acts as your new compass point, guiding you towards the Rock of Cashel. It stands proudly, above a cluster of 12th- and 13th-century buildings that are very different from what you would see elsewhere in Europe. Welcome to the seat of the Munster kings, the old center of Irish power and the place where St Patrick converted the island to Christianity. The buildings still brood beneath the changing skies, dramatic and domineering as they take you into the early medieval past. It will be best to take it slowly here as there is a lot to get around, and some of the pathways are steep. 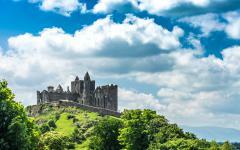 However, the Rock of Cashel is Ireland’s most inspiring old landmark, and it is an essential stop. After the Munster kings and St Patrick, you can rest in a nearby village with a hearty lunch that is served in a thatched-roof pub. It will be another 90 minutes by road to Kenmare, a town that reflects many Irish preconceptions. Think colorful houses, welcoming pubs, thick Gaelic accents, and an atmosphere that welcomes you in from the moment you arrive. Kenmare is preferable to Killarney as a base for exploring County Kerry, particularly for senior travelers as it is smaller, much easier to get around, and with far less other tourists. Although tourism has changed Kenmare somewhat, the town is still preserving its traditions, so you can find all of the dancing and singing that you might wish for this evening. Pungent smells welcome you to the village of Waterville, just as fishing boats come in from the unruly Atlantic. Seagulls fly overhead, and there is a windswept, frontier-like feel. In the heart of the Black Mountains, you will pass through Molls Gap, gawping at the landscapes that unfold. Peaks hide behind layers of mist and lakes reflect the ever-moving clouds and sheep dot the valley as if painted onto the scene as an afterthought. Next, along the Ring of Kerry, you can stop at a sheep farm, admiring how the dogs rein in all those fluffy paint strokes. At the farm, you can appreciate the different herding techniques before a hearty lunch of the freshest local lamb. 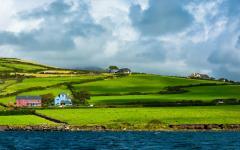 The Ring of Kerry is Ireland’s most iconic tourist route, a road that celebrates so much of what the country is about. With your private guide, you can tailor the day to your energy levels and interests. Realistically, it is a good 12 hours of touring to complete the full loop when you account for all the stops, so many prefer a truncated tour which mixes mountains, fishing villages, farming villages and the farmyards. If you are interested in something quite active, then it is worth incorporating more time in Killarney National Park as well, where there are many trails to hike. Kenmare provides the home away from home when you are finished with various places to have a drink and dine near the hotel. 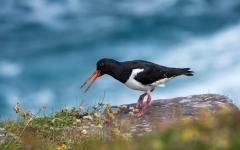 Continue the journey as you wind westwards towards Dingle and the Gaeltacht, the Irish-speaking area. 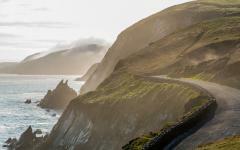 You will loop around Slea Head Drive, immersed in the wild landscapes of Ireland’s coast. Perhaps the country’s greatest highlight is how easy and enjoyable the journeys are. 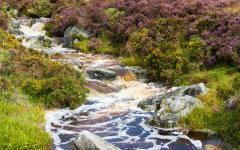 Ireland is famous for its landscapes, but you will not need to go hiking for a day in order to see them. Rural roads cut through the mountains, and the adventure can be as laid-back or as active as you might want it to be. Countless viewpoints provide a place to stretch your legs and take photos, or you can take a little walk should you wish. Various villages offer charming places to stop for tea or coffee alongside an indulgent little cake. Along the road, you will find superb memoirs to early Ireland including early Christian monasteries lying in ruin, just above the crash of Atlantic waves or castle forts that suggest the drama that unfolded here many centuries ago. Like yesterday, the route is flexible, though it is worth arriving in Dingle before dusk. Check in to your hotel along the harbor-front and get ready for an evening of Irish dancing. Dingle is the best place to experience this tradition, and even if you cannot understand the Irish language, you can feel the hearty, warm welcome. You will not need to dance of course, although you can if you like. The experience is more about watching a performance and soaking up the atmosphere in this forgotten corner of the world. Even with just seven days in Ireland, you can still travel at a leisurely pace. On route to Adare, you can choose to visit a couple of castles for more evidence of the country’s dramatic early-medieval history. Once in Adare, you gain your bearing on a horse and carriage ride. Thatched roofs are the norm here, completing houses of various colors and hues. Vehicles do not will the streets, as instead, it is the clip-clop of horses against cobblestone that echoes around. 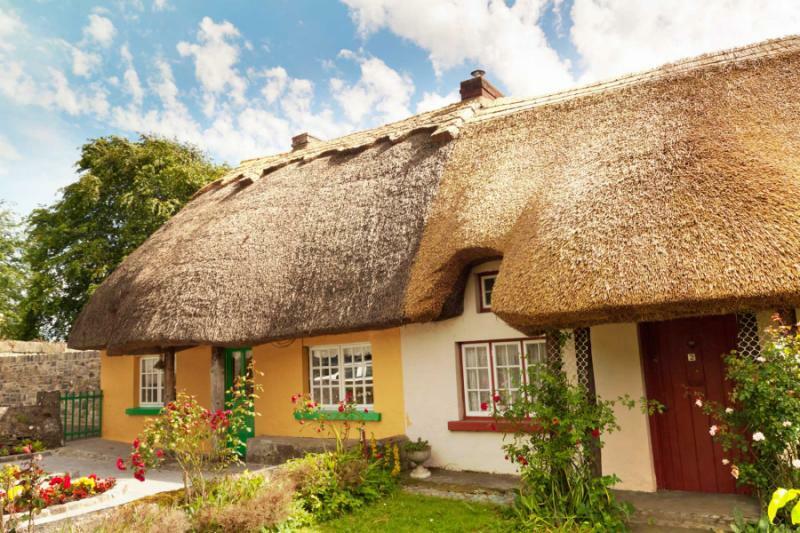 Adare is small, and it has been superbly preserved. Some Irish towns and villages have reconstructed their heritage building, but here it is mostly original, including old bakers and butchers. 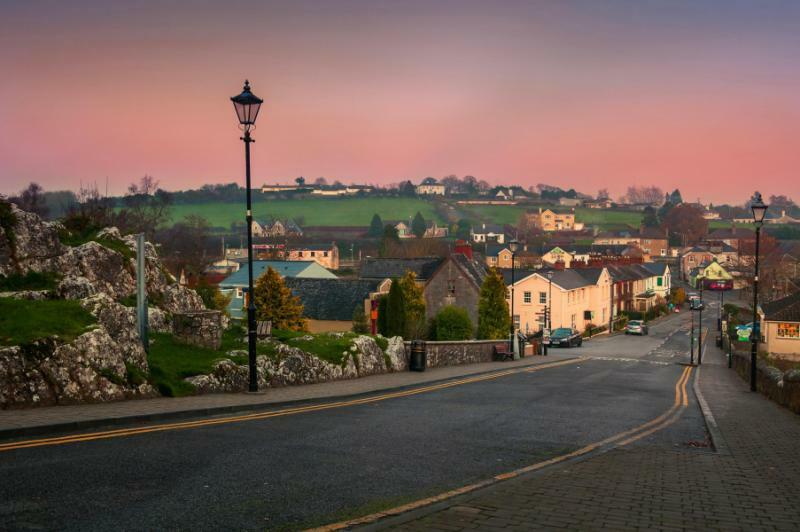 This is Ireland’s best medieval town and also its most relaxed, especially after 5 pm when day-tripping visitors have all left. As with the other stops, you will find a choice of restaurants and pubs in the near vicinity of your hotel, a heritage building that has been renovated to perfectly accommodate senior travelers. You will get a good sense of what traditional Ireland is all about, whether it is just a filling plate of pie and chips or a night listening to a storyteller. Spending your last night in Adare is ideal because it’s only a 30-minute road transfer from here to Shannon International Airport. So you can take it nice and slow this morning before the outbound flight of your international departure.